Sometimes we have to make bold choices and break completely from the mold to set ourselves apart. Many of my winemakers are doing this, including Giovanni Gurrieri and his family, who bottles a white Nero D’Avola and Frappato blend, the only winery on the planet to do so. Along with this very unique wine, Giovanni also bottles more traditional wines and operates a completely organic winery. Giovanni’s feeling was that his “Nero in Bianco” wine would really separate him from the pack. It has worked, as this wine was front and center at this past years Vinitaly Expo in Verona in the “Vivit” section, dedicated to organic/biodynamic wines. Giovanni and his family are committed to organic production, believing that it will produce wines that are “terroir driven” and true representations of their varietals. I was lucky enough to be introduced to this family by my friend Luca, who is immersed in the wine world in Sicily. Speaking about such a wine on one of my visits was like talking about a secret treasure. Whispering quietly and treading lightly, we discovered an incredible winery and a wine made in such limited quantities that I knew it had to be a part of the Mucci Imports’ portfolio. Gurrieri is a family who has been tied to the land in the Vittoria wine making region of Sicily for generations. The principle family business is the growing and selling of table grapes, ones you would eat as a snack or with cheese. One thing to know about the Southeast corner of Sicily is that it has some of the most fertile soils in Italy. Anything and everything is seemingly grown there. No crop is more apparent than the acres of table grapes, covered by nets that help these grapes reach perfect maturity and protect them from birds. Coming down into Vittoria from the hills above, one can see these grapes seemingly for miles. The Gurrieri family has so much property dedicated to table grapes, but of course, they have left room for a little wine production. 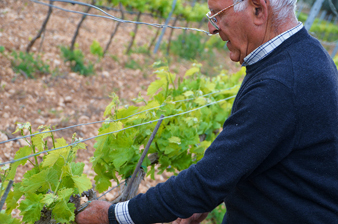 Vincenzo Gurrieri, the patriarch of the family, has his home adjacent to a beautiful vineyard of Nero D’Avola. It’s an adventure reaching the other microscopic sites where Frappato and Grillo are planted. Only driving down miles of dirt road and immersing yourself in the Gurrieri’s wealth of table grapes do you discover the other hidden vineyard sites. Clearly these sites have been strategically selected, with both Frappato and Grillo being planted on some of the sandier reaches of the property and the Nero D’Avola on more clay. This is very important, particularly for the local D.O.C.G. wine, Cerasuolo di Vittoria, which is a 50/50 blend of Nero D’Avola and Frappato. 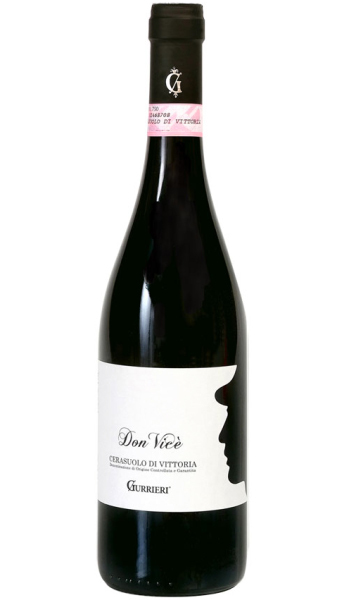 The sandy soils help produce a very delicate Frappato, which has a big influence on the Gurrieri’s most prized wine, their Don Vice Cerasuolo di Vittoria. It is these plantings over time that convinced Vincenzo’s son Giovanni to start the family winery. 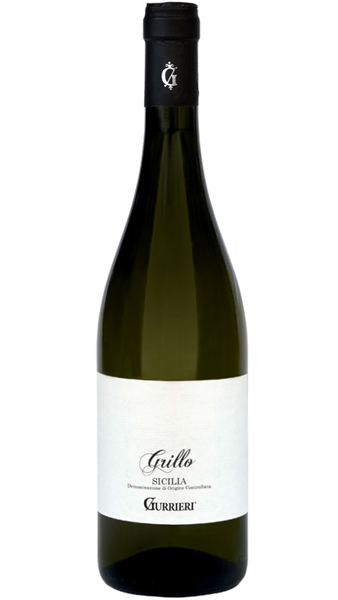 He decided to plant Grillo, one of the first to do so in Vittoria, as well as focus on Nero D’Avola and Frappato. 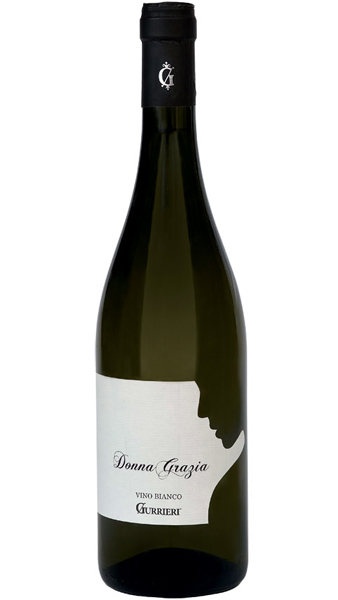 2010 was Giovanni’s first vintage, and in 2013, he started producing his Donna Grazia, the white Nero D’Avola and Frappato blend. Gurrieri has a total of 15 hectares of table grapes, with roughly 5 hectares of Nero D’Avola, Frappato and Grillo. He grows primarily three different types of table grapes all of which will be harvested in September along with the wine. Vincenzo purchased this property in the 70s and has made quite a business for himself. Amazingly at 77 years old he is still up at 4:00 a.m. day in and day out tending to his vines and managing his crew of a half dozen workers who tend to the table grapes nearly on a daily basis during growing season. The property is in the city of Comiso and as previously mentioned the Nero D’Avola and Frappato are grown on two different sites. The Nero D’Avola, which totals about 2 hectares is grown on a rocky, dark soil. It holds just enough water for the vines to survive the usual 4 to 5 month drought like conditions over summer. It is compact and heavy. The Frappato planted down the aforementioned dirt road is a different story. Here you find a lighter, sandy soil so thick that you can easily lose your footing. It is very “beachy” here and extremely well draining. Frappato seems to thrive in this soil as it brings out the best of this underappreciated varietal. Grillo will be the next grape to take off from Sicily, and this bottle is one reason why. Very expressive and full of surprises, this wine is fresh and enjoyable but also has wonderful complexity. Typical aromas of Sicily: orange, lemon paired with tropical fruity aromas brought out by the hot Sicilian sun. Fantastic minerality and acidity on the finish. Grapes are hand harvested in the beginning of September. This organic wine undergoes spontaneous fermentation and will subsequently age in stainless steel for 6 months, followed by 3 months in the bottle. Giovanni realized this champenoise method had to be made, as his still version of Nero/Frappato in bianco had notes of brioche and nuttiness that would be perfect for a sparkling wine! Bright and fresh citrus fruits and saline notes, with a consistent bubble and a soft, almost creamy perlage. Grapes are hand harvested in the beginning of September. 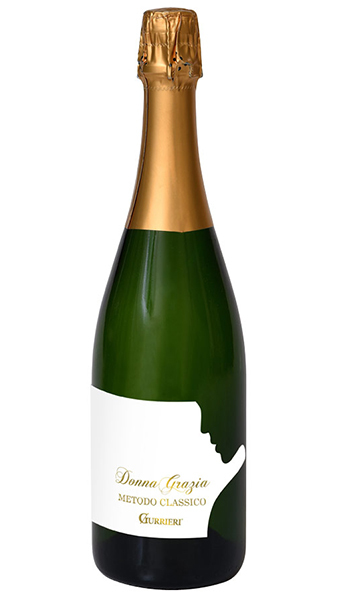 This organic wine will undergo primary fermentation with indigenous yeasts, then secondary fermentation will occur in the bottle, 18 months on the lees before disgorgement. A white cerasuolo that surprises you with lovely notes of white flowers and some rusticity from the Nero d’Avola grape on the nose. This is a very well balanced wine with freshness, acidity, structure and persistence. Grapes are hand harvested, wine is destemmed and immediately pressed like a white wine would be. The key with white wines made of red grapes is no skin contact. Wine ages 3 months in steel and another 3 months in the bottle before release. Limited sulfites and filtration. After tasting through dozens of Frappatos and determining what we loved about this varietal, we realized that the answer was right in front of our eyes. Gurrieri, one of the first producers in our portfolio, produces a 100% Frappato that captures everything we want in this grape. Elegance, beautiful bouquet, but with the minerality and backbone to be more than just a light wine. Behind the gorgeous floral aromas, notes of liquorice, graphite, dried red fruit, and a touch of spice. Bright acidity and the correct amount of tannin. Aged cheeses, spicy red sauce, mushroom based dishes, game, tuna, or lamb based dishes. Grapes are harvested by hand towards the end of September before spending 6 months in stainless steel and 3 months in the bottle. Gurrieri is also capable of creating a more traditional Cerasuolo, a 50/50 red blend of the two prized grapes from the region. This blend is so Sicilian it hurts. It’s on the lighter side, but is certainly affected by days of dry, sweltering heat, thus having a glyceral feel on the tongue. It’s not sweet however. 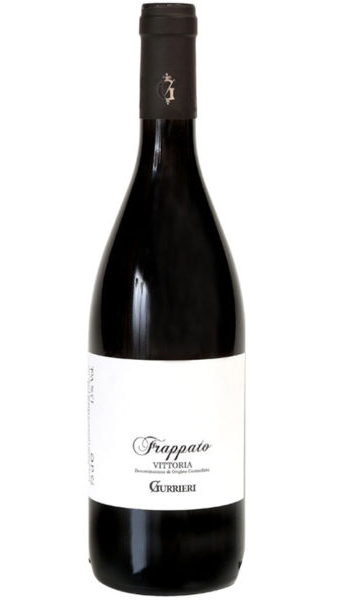 There is a nice mix between the spice and fresh, bright red fruits of Frappato with the more mature red fruits of Nero D’Avola. Harvest occurs at the end of September/beginning of October. What is very unique is the fact that the Frappato and Nero D’Avola come from two tiny plots of land that are about 10 km in distance from each other. Between this distance there are two very different terroirs. The Frappato is found in a very sandy soil, with a clay mixture helping to create a soft elegant style. 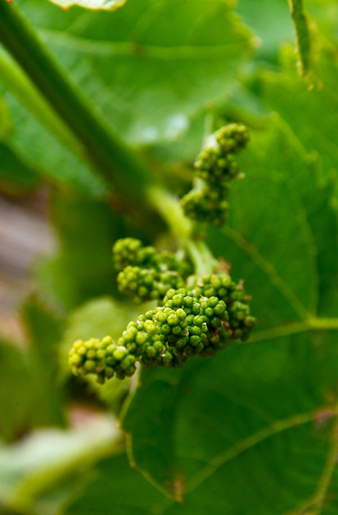 The Nero d’Avola is grown in a firmer soil mixed with clay but also very rocky. The wine undergoes spontaneous fermentation and will then age in stainless steel for 9 months and another 9 months in the bottle before release.